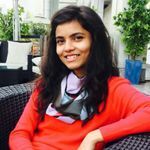 Ice-Breaking Made Easy: Plan and Play These Indian Wedding Games | Wedding Tips ARE YOU A VENDOR? Want to add an extra dash of fun to your wedding? 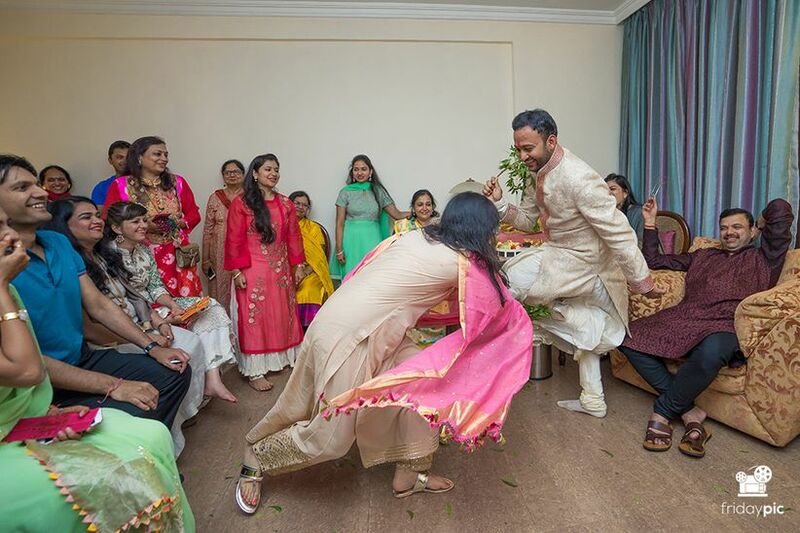 Read about these Indian wedding games to entertain your guests and have a blast! What is a bride's biggest nightmare? A dull and boring wedding. Break this mundanity with a little spark of fun - one that breaks the ice, ensures a good time for everyone and even brings both the families together, be it for the pre-wedding functions, the wedding reception or after the wedding. Enter Indian wedding games. Traditionally, a little fun play ensures that the bride feels comfortable in her new environment, after the wedding extravaganza. And now, when emcees host and give out favours, these wedding games ensure that everyone is having a good time through her dream event. So, it is a Mehndi function, and the get-together of relatives and guests is going great. There are some sizzling dance performances planned to entertain them. But how to bring them together to ensure no one gets bored? The answer is the classic game of ‘Antakshari’. We all have played this game in our childhoods and still love it! Add dumb charades for films, songs to the fray to keep everyone occupied. The venues for the pre-wedding functions, be it Mehndi or Haldi, will have plenty of space to hide small clues. Even though most of us have played scavenger hunt as kids, playing it as adults make it even more fun. Award the winner with creative gifts. Your guests can even have their kids as team members and take care of them while enjoying themselves. They would thank you for helping them keep their kids occupied. 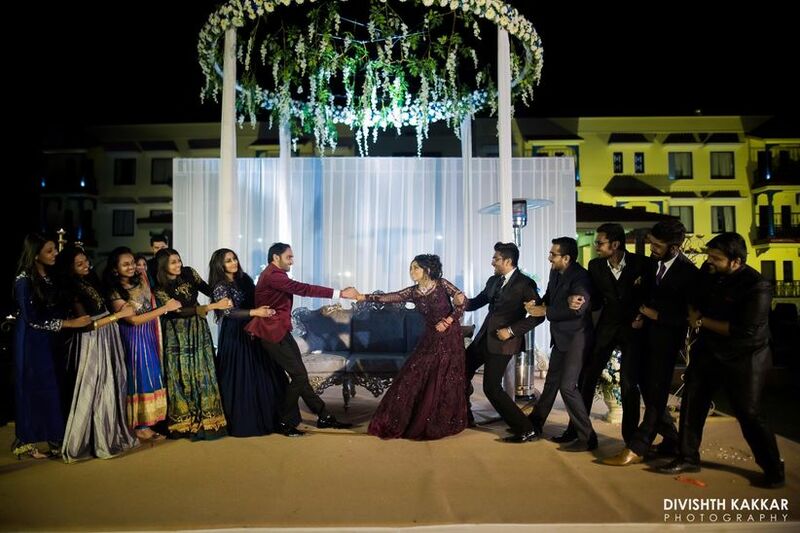 One of the most fun wedding games of all time, a Karaoke is perfect for your mehndi, sangeet and night. Some cocktails for that liquid courage and a karaoke console to keep things interesting, this game will make your wedding a fun experience for your wedding guests easily. Usually one of the most famous bachelor/bachelorette party games, beer pong seems to be making a show in a lot of desi pre-wedding functions too. Imagine seeing your husband-to-be failing at chugging down beer faster than you. Fun isn't it? The best kind of ice-breaker there could ever be. You sure as hell have played Jenga in a cafe at least once in your life. Didnt you like the thrill every time it close pretty close to tumbling down? 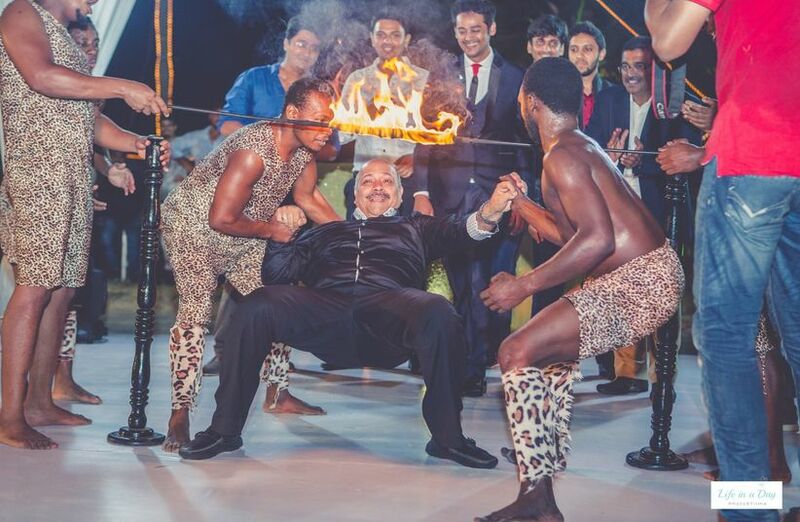 Imagine a larger than life soectacle of the same game at one of your pre-wedding functions! Recreate the quintessential Jenga feels and divvy up sides - the groom's side and the bride's side and see who emerges as the victor! Often, in Indian weddings, the bride knows many members of the groom’s family. But when it comes to the groom, he barely knows bride’s cousins (unless it is a love marriage and he knows who’s who!). All you need to play this Indian wedding game are riddles about the family members or a projector and laptop. Pose the riddles or project some photographs of family members from both sides and ask the couple to guess the name of that person. 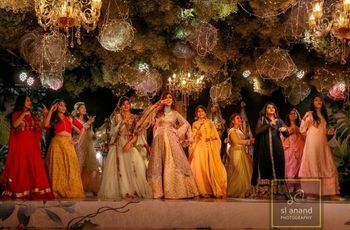 And let's not forget, the highly entertaining 'Joota Chupai', where the bride's sisters and squad attempt to steal the groom's shoes and then ransom them for a big financial gain! The bride and groom are made to sit on chairs facing each other’s back holding one of other’s pair of shoes. They are then asked a series questions to which the answer would only be ‘the groom’ or ‘the bride’. When the answer is the groom, the bride raises his shoe and vice versa. 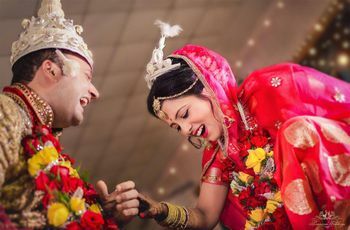 It is an amusing Indian wedding game that can last for around 15 minutes with 30-40 questions getting lots of cheers from the crowd when planned creatively. And then, there's the Lambada (as played above), Musical Chairs, Dance-outs, paper dances, guess the taste and much, much more! Probably the first game that comes to our minds when we think of Indian wedding games is 'find the ring'. 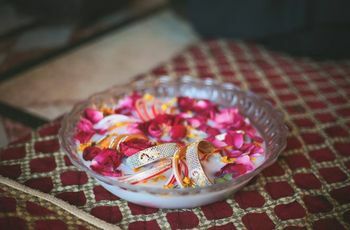 The wedding rings are put in a bowl filled with milk, Haldi and rose petals. The bride and groom are made to search for the rings in the bowl only with one hand. Whoever finds them first, wins, and gets the bragging rights too. 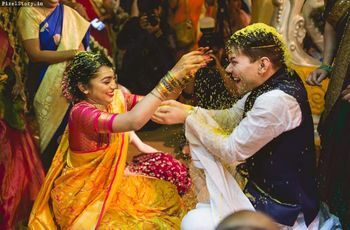 They're also asked to pick up Thalis, open the Gaana (tied during the Haldi ceremony), hunt for names in the Mehndi and get ribbed for the romantic night ahead! The game ‘20 questions’ is played for the bride to feel comfortable with groom’s family. She is asked 20 questions that help her open up and then she questions the rest of the family or the other way round. But it is a rapid-fire round so both sides need to be prepared with their list of questions. Pro tip - Make the questions as engaging and amusing as possible. Remember not to throw these games as surprises at the last minute, instead plan them well beforehand. You must have played or witnessed some of these Indian wedding games. Which one from the list is your favourite? 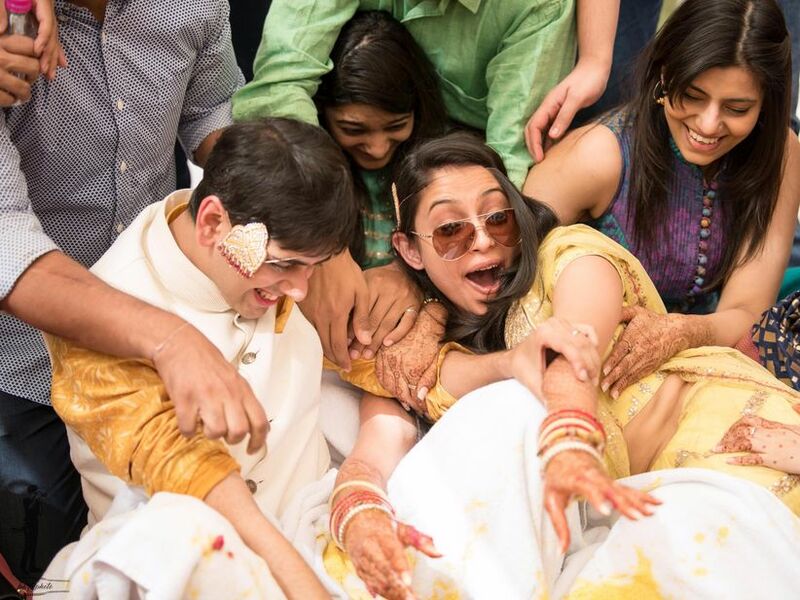 Have you played any other interesting Indian wedding games that should be on this list? Share them with us in the comments below.